The seasons are changing, and our friends at Thunder Bay Grille are changing things up, too! They are refreshing their menu for the season (don&apos;t worry, their classics are still there! ), and Chef Mike Yelley is back to show off a new sandwich on their lunch menu. 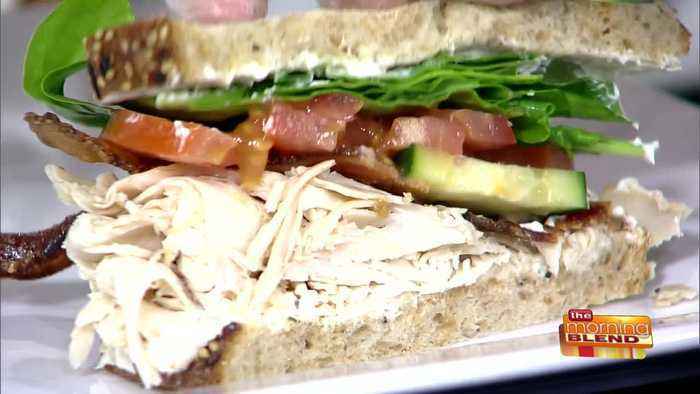 It&apos;s their Turkey Spinach Boursin Sandwich: Shaved oven roasted turkey, Boursin cheese, fresh spinach, cucumber, tomato, and smoked bacon on toasted Everything bread. For more information, visit ThunderBayGrille.com.